Home Books Mordenkainen’s Tome of Foes announced! Mordenkainen’s Tome of Foes announced! One of the most powerful wizards in the Dungeons & Dragons® multiverse shares some of his hard-won knowledge with fans in a new book full of lore and monsters for D&D fifth edition. 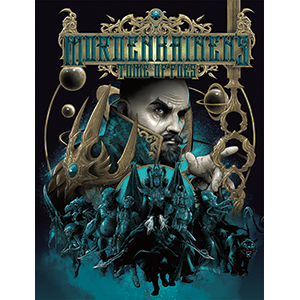 Mordenkainen’s Tome of Foes is available everywhere on May 29, but you can pick up a limited alternative cover (pictured below) in game stores on May 18, 2018. 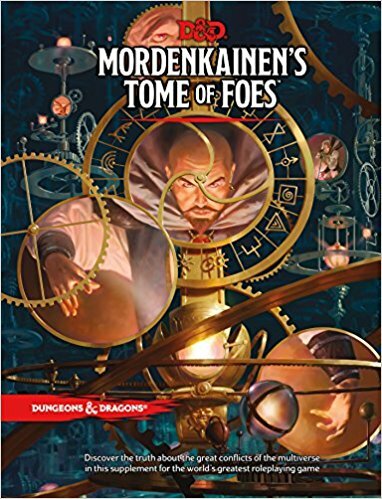 Look for Mordenkainen’s Tome of Foes in your local game store on May 18! Otherwise, you can pick it up on May 29, and start adding new monsters and lore nuggets to your D&D sessions.